Here at USA Green Clean, we offer essential home up keeping services including: *Carpet & Upholstery cleaning *Air duct cleaning *24/7 Watter damage restoration *Mold remediation. *Hardwood cleaning *Tile&Grout cleaning *Power wash Commercial cleaning. We believe that when you invest in something you should want it to always look as good as new. Our company specializes in making old things fresh and clean again. Every situation is special. 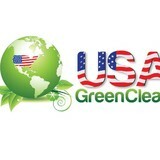 USA Green Clean takes every problem into consideration, and for every problem there is a solution. 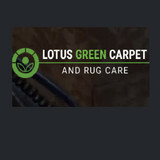 Lotus Green Carpet & Rug Care, is a Carpet Cleaning Company in Washington DC area. Call us today and get the 100% Organic Cleaning Solutions for your home. Bianchi's Carpet Cleaning offers the finest quality service in carpet, rug and upholstery cleaning. We use the cutting edge technology of the patented Vortex cleaning system, which is rated the most powerful cleaning system in the world! What this means for our customers is cleaner carpets with faster drying times. Soap residue left in your carpet by other carpet cleaners can make your carpet re-soil quickly. Our method removes the soap residue and leaves our customers with a soft, fluffy and clean feeling carpet that really IS clean. Bianchi's Carpet Cleaning has been serving Prince William, Fairfax & Loudoun Counties since 1973. Hadeed Carpet has a long tradition in the Washington area of cleaning, repair and restoration of carpets and rugs. The company was started in 1955, in Alexandria, Virginia serving the Washington, DC metropolitan area including Northern Virginia and Maryland. Shipping throughout the entire United States is also available. The family philosophy is that the best results come from keeping the cleaning a hand washing process. So much of the job is still done carefully by hand, much like it was done almost fifty years ago. Many modern plants insert the rug or carpet into an automated assembly line of machines that might damage a valuable rug. Hadeed’s process also allows for carefully checking the progress at each step, and examining the condition of a particular rug or carpet. Our staff will personally call you to discuss any repairs or preventative care that we might be able to perform so that the carpet or rug can be delivered back to you in tip top condition. If you are looking for a company that can handle all of your needs from start to finish, you have come to the right spot. Certified by the IICRC (The Institute of Inspection, Cleaning and Restoration) and licensed, bonded and insured, Margaaa Restoration is your one-stop-shop solution. Margaaa Restoration was founded in 1999 As U.S Carpet Care Plus and evolved to what it is now, which is a all purpose Home service company, with the sole purpose of providing property restoration and cleaning services to their clients. With prior experience in general contracting, building an impressive resume along Washington DC’s embassy row, the owners recognized an opportunity to expand into other specialties. With both businesses running simultaneously side-by-side, the owners decided to blend the two companies together in 2012 to form the only one-stop-shop company of its kind in the Virginia, Washington DC and Maryland areas. Our brand is to serve. We now offer general contracting, property restoration, cleaning and household services to our clients. Now, you can give one company a call for all of your property needs- saving you time, money and hassle. Have you already tried all possible methods to get rid of mold, but all of them proved to be useless? Let FDP Mold Remediation Reston take care of it! We work for you 7 days a week 8:00 am 0 8:00 pm! Capital Rug Cleaning specializes in professional rug care including Oriental rug washing (in-plant/hand-washing), expert rug repairs, antique rug restoration, appraisals, online valuations, secure storage, and Oriental rug protection. Backed by over 20 years of experience, the company services all types of area and Oriental carpets, from simple pottery barn carpets to the finest and most valuable hand-knotted rugs from around the world. You can call, text, tweet , or send an email regarding any questions you have about your rugs or if you're interested in scheduling an appointment for pickup. We offer the best house cleaning services and commercial cleaning services in Montgomery County MD. Crisis Cleaners service area includes Gaithersburg, Potomac, Rockville, Silver Spring, Bethesda, Olney, Damascus, Layhill, Wheaton, Kensington, Chevy Chase and all of Montgomery County. We treat all of our customers to a premium experience. We take our time to get out as much dirt and stains as possible so that your carpet looks great months from the cleaning not days. Carpet Installation with a Lifetime Guarantee That’s right, A lifetime Guarantee. 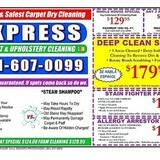 We guarantee that the seams won’t break or the carpet won’t wrinkle, or we will come back and fix it for free. We offer a more personalized approach. Look what we have to offer below. Thank you for visiting George Ayoub Carpet & Rug care, where "we strive to exceed your expectations". George Ayoub Carpet & Rug care has been serving Carpet Cleaning Reston Virginia, the Washington DC, Northern Virginia, and Montgomery County Maryland communities for 25 years, bringing top quality products and services to you, the consumer. George has been operating his company for over two decades, with the addition of his son Jimmy in 2001, their success has made it possible for them to build a state of the art rug cleaning facility with multiple trucks for In-home wall to wall carpet cleaning, upholstery cleaning and repairs. George Ayoub Carpet & Rug care also offers an array of other services such as Tile & Grout cleaning, Sales and Installation of carpets and hardwood flooring, using the leading manufacturers and installers in the industry. Request a free estimate today! At George Ayoub Carpet & Rug care, we insure the best possible treatment for your carpets and rugs by providing products and services that are (ECO-friendly) and are approved by the carpet & rug institute for safer, healthier and fresher results. We also use truck mounted hot water extraction systems (also known as steam cleaning) to ensure the best possible method of cleaning and drying of your carpets. All of our trucks are staffed with professionally trained and knowledgeable technicians, to give you the best quality service that you deserve. In the carpet cleaning industry, all service calls differ from one way to another. Some stains may be worse than others or you might need a repair to your carpets that needs a little "special attention". This is where using George Ayoub Carpet & Rug care is very beneficial, we take our time to make sure each issue with your carpets is addressed and executed, which gives us a true passion for seeing a finished product that is most satisfying to us, as well as you. Always remember, "We strive to exceed your expectations"
Flood Damage Pro offers water damage restoration, fire damage restoration, and mold remediation for homes and businesses in Gaithersburg, MD. Call us 24/7, because property damage doesn’t keep business hours. Get the best water damage restoration company in Rockville, MD for your property. Call Flood Damage Pro now 240-224-8253 and let our experts take care of your emergency. We provide complete water damage restoration service for both, residential and commercial customers. What should I look for in a local Poolesville carpet cleaner? Not all Poolesville carpet cleaning companies use the same methods, but there are a few common things that they should do to for a quality job. Make sure they do an analysis on the area you need cleaned and recommend the best course of action — are there large stains or high-traffic areas that need extra treatment or attention? Also, make sure they provide quick drying times so that you can be back in your home faster; that means hours, not days! A good carpet cleaning service in Poolesville, MD should move furniture (within reason) and put it back in place when they are all done; don't let them charge extra to do this. Another important factor to look out for is whether or not the carpet cleaners use chemicals, and if so, they should be asthma- and allergy-friendly. This is especially important for households that have children or pets. Lots of Poolesville carpet cleaning services also clean rugs. Rug cleaning can involve anything from a simple wash to complete re-weaving or foundation work. Make sure the local rug cleaner you choose has experience with the types of rugs you need serviced, especially if they are hand-woven or Oriental rugs. What should I look for in a local Poolesville upholstery cleaner? Upholstery comes in many more varieties than carpet and rugs, thus needs cleaning tailored to each specific blend. Even if you don’t know what material your sofa or chair is made with, a good upholstery cleaning service in Poolesville, MD will be able to identify it and treat it appropriately. Some textiles require dry cleaning and that can’t be done in home, so if that’s the case, check with the upholstery cleaner and see if they offer pickup and drop off services. Leather cleaning is a bit different and often involves more restoration and conditioning than actual cleaning. Make sure the Poolesville furniture cleaning service specializes in leather if you are considering them for the job. Find Poolesville upholstery and carpet cleaning services on Houzz. Narrow your search in the Professionals section of the website to local carpet cleaners in Poolesville, MD and read reviews and ratings to find one that fits your needs.